Enter the Corporocalypse | Indigenize! Folks, the Corporocalypse is upon us. We must challenge this. Some might say that it’s not that different from what we have now, yet it does contain a huge difference in that it openly and formally condones such corruption. This will mean the end to government as Lincoln celebrated in his Gettysburg Address, “of the people, for the people, by the people” — or maybe not, if we just forget about real people and instead consider corporations the important ‘persons’ in question. Corporations are officially “people” too, after all; a status granted by law. And as Orwell once observed, some people are more equal than others. The deep leverage point for change here is to ***eliminate corporate personhood. *** This is an idea whose time has come of age NOW. Corporate personhood is a travesty of law that should never have been allowed to come into existence. It gives corporations the rights of persons, but without the accompanying constraints on their behavior that a live person in community would naturally have. In other words, there is no reason for them to behave ethically, or even caringly. Joel Bakan trenchantly observed that if we examine corporate “persons'” behavior psychologically, according to the standards set forth in the DSM-IV, their dominant personality is that of a sociopath. Not someone you want to live anywhere near, let alone confer any power over your life. Our current laws do not recognize the personhood of these other beings, these relatives in other-than-human bodies, but they do confer personhood on what is essentially a business fantasy. To me, this suggests that something has gone horribly wrong. How about we reverse this? Let’s make laws that protect our relatives of other species, whose well-being ultimately benefits our own, and eliminate those laws that protect only the interests of a few greedheads whose inventions are ultimately threatening not only our ability to self-govern, but the health of the earth herself, the very foundation of our existence. It’s time to stand up for the world we want to live in. You can begin by signing the petition penned by the excellent organization http://www.poclad.org Write or call your congresspeople. Other ideas? Let’s make a fuss here instead of just taking this dangerous nonsense yet again. More than we might imagine rides on it. Thanks, Tina, for raising awareness and holding our feet to the fire on this. Definitely a cause to get off the couch for. And as Noam Chomsky points out in the documentary about corporations (titled Corporations if memory serves, but something tells me it doesn’t), corporations are not simply likely to behave as sociopaths (as you aptly describe) but are in fact legally obligated to do so. A corporation cannot by any legal means incorporate any value other than profiteering into its mission. Yeesh. You speak the horrifying truth. But it was not always like this. The first corporations had in their charters a mandate to first and foremost serve the public good! That was their reason for being, for receiving the privilege of operating in the corporate form, and also for the generous grants of land some, such as railroad companies, received from the legislature. 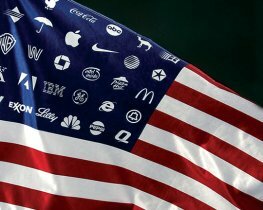 (For an excellent short history of corporations, see Jonathan Rowe’s essay at http://www.context.org/ICLIB/IC41/Rowe.htm) I believe the rescinding of corporate personhood is the most vital leverage point now. Thank you for the link, which answered all the questions the documentary stirred up for me but either didn’t answer or else didn’t answer before I grew too frustrated to continue watching. I find it reassuring to learn the reasonable historical basis for the current horrific mess of power and privilege without responsibility. We could do a lot worse than reverting to the original laws, and corporate personhood is a disaster. And it gets worse. Corporate personhood leaves victims of corporate irresponsibility little choice but to pursue wildly expensive class-action and product liability suits, which then necessarily have to pursue massive settlements, which in turn drive up insurance costs beyond the reach of smaller corporations that might still, as he points out, retain the public-good values (and value). Thus my previous dentist, who learned to fly so she could donate more time to Doctors without Borders, had to abandon her private practice and take a position that paid for her malpractice insurance but a much lower income, so she had to give up flying lessons and now can ill afford to donate time to Doctors without Borders. Thus I have to incorporate my little business (Global Pragmatica is an LLC), so that I can buy errors and omissions insurance, so that my clients can try to transfer their liability risks to contractors like me by requiring us contractually to carry massive E&O policies, that we can only buy once we’ve limited our liability by incorporating. I who don’t believe in corporate personhood now am president of an LLC that has it. Feh. I think I’m done preaching to the choir now.